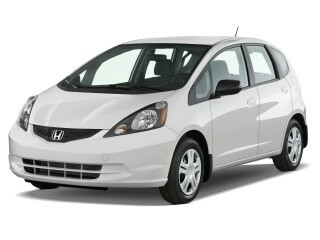 Like the 2012 Versa Sedan's higher gas mileage? 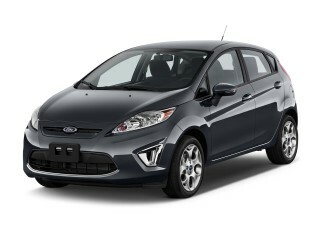 The Versa Hatchback models are due to get a version of the redesign--as well as some of the same improvements--for 2013. The 2012 Nissan Versa is a reasonably comfortable, well-equipped new car for used-car money—but if you're a stickler for the details it can feel as cheap as it is. Nissan's subcompact Versa has always felt a little more substantial and comfortable than most other cars in its class of small, on-a-budget choices. The same rings true for the redesigned, restyled 2012 Versa, even though Nissan has importantly managed to boost gas mileage by several miles per gallon across the lineup. 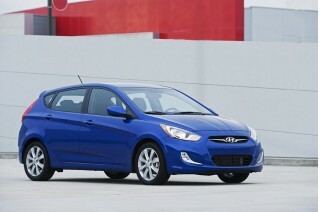 Technically, it's only the sedan that's all-new this year. For 2012, the Versa Hatchback, which has been selling well and arguably still looked contemporary, continues for one more model year in its current form. That means, yes, that for a year the Versa actually offers different levels of performance, fuel efficiency and potentially, safety, depending on which body style you choose. The all-new Versa Sedan has a curvier, lower roofline and looks quite different than the current (outgoing) version. While the size is about the same, Nissan has dressed up those new proportions with design elements from larger Nissan and Infiniti sedans, some European surfaces, and a few new design cues—including an all-new grille design that the rest of the Nissan lineup will soon get. Inside, the design is less controversial, feeling like a collection of cues and switchgear inherited from other Nissan vehicles, with the dash getting curvier at the edges, flanked by round, aimable vents. While sedans get an all-new 109-horsepower, 1.6-liter engine this year, the Versa hatchbacks remain powered by a 1.8-liter, 122-hp four. 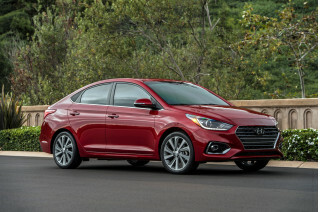 Hatchbacks can be had with a six-speed manual or four-speed or CVT (continuously variable) automatic transmissions, while the new Sedan comes with either a five-speed manual or a CVT. In Versa Sedans, it's a new-generation version of the CVT with a wider span of ratios; while that helps it achieve better mileage, we've noticed that it can feel sluggish in delivering more power for hills or passing. Otherwise, the driving experience doesn't offer much to get the pulse going. 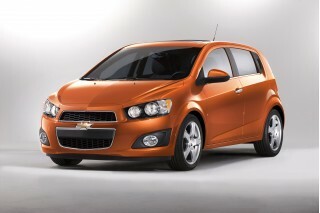 All models come with anti-lock front disc and rear drum brakes. And while the Versa’s light yet precise electric power steering system made the Versa easy to place in urban driving, the steering felt too light at highway speeds and required constant small (over)adjustments at highway speed. 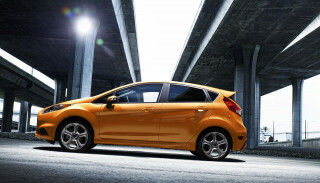 With the Versa Sedan including that range of fuel-saving powertrain changes but the Hatchback relying on last year’s technology, there’s quite a difference in gas mileage between the two body styles for 2012. Fuel economy ratings for the Sedan are 27 mpg city, 36 highway with the five-speed manual or 30/38 with the CVT, but the hatch gets now-mediocre ratings ranging from 26/31 to 28/34. The Versa Sedan’s interior is comfortable, but we wouldn't call it upscale in any way. In theory it has the cabin volume of a mid-size car, but in reality four six-foot adults are probably not going to be very comfortable on a daylong drive. Front seats in the Versa sedan are rather short, with an odd construction that contours around your back to help hold you in place, while the bottom cushions are flat and not at all snug. We love the Versa Hatchback's abundant headroom and versatile configuration, with 17.8 cubic feet of space even with the seats up; the sedan has a huge trunk, but seatbacks don't fold down on many of the models. That said, ride quality is good among very affordable small cars, and the Versa seems to take on urban potholes or freeway choppiness quite well. And you certainly don't get much of a deal when it comes to materials and trims; the hard and hollow dash materials impress as every bit as cheap as the Versa's $11,750 base price (including destination). The Versa Sedan still hasn't been crash-tested by either of the U.S. agencies, but the hatchback is now toward the back of the pack in a growing field of top-achievers. It gets just three- and four-star ratings from the federal government, with 'acceptable' ratings from the IIHS in side impact and roof strength and 'good' in frontal impact. Roof-mounted side airbags cover all outboard occupants, and front side-impact torso airbags and electronic stability control are standard. Base S models come with manual wind-up windows, no power mirrors, and strictly the basics, but air conditioning is now included in all trims. Versa SV models get cruise control; power windows and locks; keyless entry; chromed door handles; plus numerous trim and visual upgrades. Top SL models get the split-folding back seat, plus alloy wheels, Bluetooth, and fog lamps. Top options, all in simplified packages, include Bluetooth, XM Satellite Radio, a navigation system with XM NavTraffic, and USB/iPod controls. Fully loaded, a Versa SL costs about $18k. The new Versa impresses like a bargain-basement suit; it's contemporary up close, but doesn't fit altogether as well as it could as a whole. While Hatchback models of the 2012 Nissan Versa continue unchanged for 2012, the Nissan Versa Sedan has been redesigned, with a curvier, lower roofline a quite different look overall than the current (outgoing) version. While the size is about the same, Nissan has dressed up those new proportions with design elements from larger Nissan and Infiniti sedans, some European surfaces, and a few new design cues—including an all-new grille design that the rest of the Nissan lineup will soon get. From the side profile, the new Versa Sedan has a curvier, lower roofline and looks quite different than the current (outgoing) version. 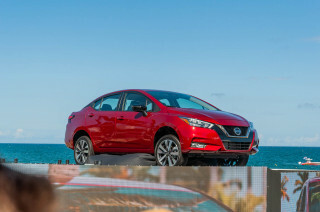 While the new Versa's wheelbase and length are virtually unchanged, Nissan has trimmed some length from the hood and added it to the trunk and backseat; the new model is also more than an inch lower overall. Inside, the design is less controversial, with the dash getting curvier at the edges, flanked by round, aimable vents. However it feels like a collection of cues and switchgear inherited from other Nissan vehicles, and oddly, there's no wrap-around continuity between the dash and doors, and there's just as much hard plastic, if not more than before, in the new Sedan. The 2012 Nissan Versa performs well enough to merge safely in with traffic on the commute, but don't count on much beyond that. Nissan Versa Sedans have been completely redesigned for 2012, but performance improvements seem to have taken second stage to interior space and value. While Versa Sedans get an all-new 109-horsepower, 1.6-liter engine this year, the Versa hatchbacks remain powered by a 1.8-liter, 122-hp four. Nissan has redesigned the 1.6-liter, but it skips direct injection, instead using a new dual fuel-injection system plus twin continuously variable valve timing. Hatchbacks can be had with a six-speed manual or four-speed or CVT (continuously variable) automatic transmissions, while the new Sedan comes with either a five-speed manual or a CVT. In Versa Sedans, it's a new-generation version of the CVT with a wider span of ratios; while that helps it achieve better mileage, we've noticed that it can feel sluggish in delivering more power for hills or passing. Acceleration also is slow, with 0-60 mph times of about 11.5 seconds, ranking the Versa as one of the slowest small sedans. Otherwise, the driving experience doesn't offer much to get the pulse going. All models come with anti-lock front disc and rear drum brakes. And while the Versa’s light yet precise electric power steering system made the Versa easy to place in urban driving, the steering feels too light at highway speeds and, especially in a driving experience with the new sedan, required constant small (over)adjustments at highway speed. 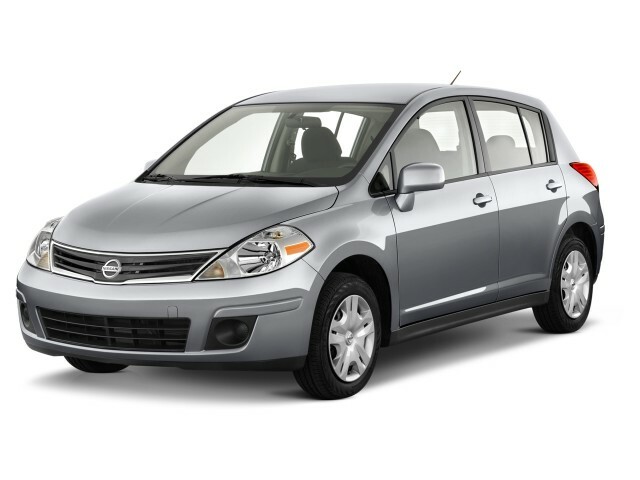 The interior of the 2012 Nissan Versa is spacious--and comfortable enough if you're okay with a no-frills feel throughout. The Versa Sedan’s interior is comfortable, but we wouldn't call it upscale in any way. Nissan boasts that, in theory, it has the cabin volume of a mid-size car, but in reality four six-foot adults are probably not going to be very comfortable on a daylong drive. Front seats in the Versa sedan are rather short, with an odd construction that contours around your back to help hold you in place, while the bottom cushions are flat and not at all snug. We love the Versa Hatchback's abundant headroom and versatile configuration, with 17.8 cubic feet of space even with the seats up; the sedan has a huge trunk, but seatbacks don't fold down on many of the models. You probably won't have high expectations for cabin refinement, but if you do, the Versa's coarse engine note during acceleration (especially with the CVT) and the boom over coarse pavement surfaces, could be big disappointments. 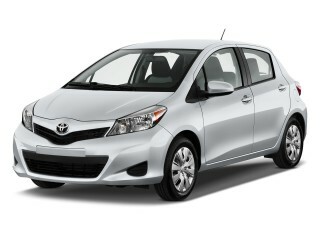 If safety is your priority, you could probably do a bit better than the 2012 Versa. The previous-generation Versa--still represented by the carry-over Versa Hatchback for 2012--was never a standout for safety, according to crash-test ratings, and the same appears to be true, so far, for the all-new Versa Sedan. The Versa Hatchback gets just three- and four-star ratings from the federal government, with 'acceptable' ratings from the IIHS in side impact and roof strength and 'good' in frontal impact. Roof-mounted side airbags cover all outboard occupants, and front side-impact torso airbags and electronic stability control are standard. While the 2012 Versa Sedan hasn't yet been rated by the Insurance Institute for Highway Safety, the 2012 Versa hatchback achieves a 'good' rating for frontal impact but only 'acceptable' ratings for side impact and (rollover-related) roof strength. Bargain is the operative word here; for $11,750 you get only basic equipment, but if you spend thousands more you'll get a well-equipped car. 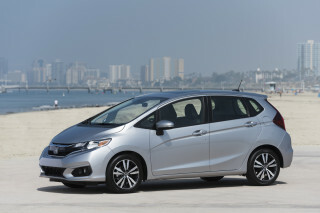 With the Versa's base price of just $11,750, bargain is the operative word. The Versa Sedan is a bargain, and the most affordable model in the U.S. market, but it also can feel a little bagain-basement in its most affordable forms. Base S models come with manual wind-up windows, no power mirrors, and strictly the basics, but air conditioning is now included in all trims. Versa SV models have a much better feature set; they get cruise control; power windows and locks; keyless entry; chromed door handles; plus numerous trim and visual upgrades. Top SL models get the split-folding back seat, plus alloy wheels, Bluetooth, and fog lamps. Top options, all in simplified packages, include Bluetooth, XM Satellite Radio, a navigation system with XM NavTraffic, and USB/iPod controls. Fully loaded, a Versa SL costs about $18k. The 2012 Nissan Versa Sedan gets much-improved gas mileage, but in hatchback form especially the Versa still falls short of other subcompact models. 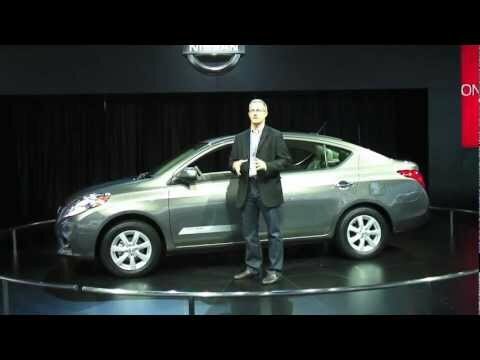 For 2012 Nissan has redesigned the Versa Sedan and given it a number of fuel-saving improvements, including a smaller, more efficient engine, transmissions with a wider spread of ratios and taller top gears, aerodynamic improvements, and more. Even with its fuel-stingy remake, the 2012 Versa Sedans still aren't among the best in their class, though. While many subcompacts now get 40 mpg on the highway, the Versa Sedan gets 38 mpg highway at best (30/38). Versa hatchbacks are carried over from 2011, and they get an unimpressive 26 mpg city, 31 highway with a manual transmission, or 28/34 with the CVT. nice car, not enough storage behind rear seat. Easy to drive. Easy to park. Good quality constriction. High road noise. A small amount of engine noise, but to much. Could be 6 to 8 in's longer, add that to the storage behind the rear seat. Add driving... Easy to drive. Easy to park. Good quality constriction. doors. Air conditioning, and heater that works faster. dealer. Allen Webb Nissan, excellent service and staff. Our Versa is three years old, almost, and has 10K miles. Should last a long time, but we will probably trade up.